Should I Take a Probiotic Every Day? Your small and large intestines are bathed with helpful bacteria, essential for good digestion and not harmful to your body. Probiotics are a form of bacteria found in many foods. 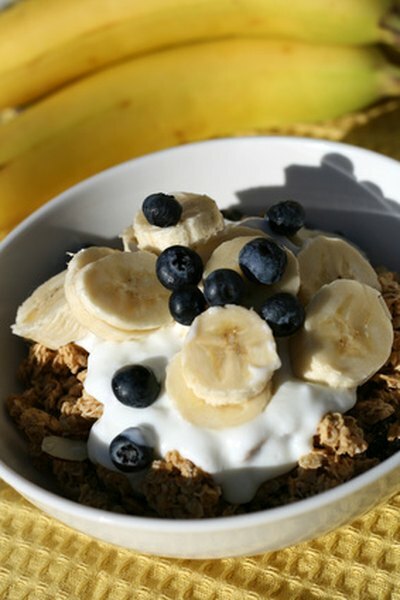 Eating probiotics helps to add and enhance the beneficial types of bacteria in your body, for optimum health. The gastrointestinal tract, which includes the small and large intestine, is home to several types of bacteria. The bacteria in the intestines is often referred to as the body's natural gut flora. Natural gut flora aids the digestion and absorption process and also plays a role in your body's immune defences. Probiotics contain various strains of bacteria that are similar to the natural healthy gut flora of the body. They are available at many health food stores as supplements, but are also added to some dairy products, such as yogurt. The most common species found are Lactobacillus acidophilus and Bifidobacterium bifidus. It is important to note that probiotics are live microgranisms and not the same as prebiotics, which stimulate growth of the probiotic bacteria. Probiotics are very useful when your body loses its natural gut flora. The use of antibiotics, or disease-causing bacteria can kill off gut flora. This can cause gas, abdominal cramping, and diarrhea. Consuming probiotics during these situations helps to replace healthy bacteria populations. Although Lactobacillus acidophilus and Bifidobacterium bifidus have beneficial effects on the gastrointestinal tract, Dr. Gregor Reid from the University of Western Ontario reports that not all strains of these two bacteria function the same way. If you are going to use probiotics to decrease the side effects of a gut flora disturbance, it is important to check the label for the correct strain. "Lancet"; Gut flora in health and disease; Guarner and Malagelada; Feb 2003. "Applied and Environmental Microbiology"; The Scientific Basis for Probiotic Strains of Lactobacillus; Gregor Reid; September 1999.